For a long time, doctors at varicose vein treatment centers have observed an association between patients having varicose veins and a propensity to develop deep vein thrombosis (DVT), i.e. dangerous deep blood clots. Furthermore, there have been published research reports showing a statistically significant correlation between varicose veins and DVT. However, the sample sizes used to gather data for these previous studies were all rather small. The small sample size involved in previous studies cast a slight doubt about the association. All of this changed on February 27, 2018 when the world's first large scale study proving a strong correlation between varicose veins and DVT was published! Making it an even more significant study, the work was published in the well respected and peer reviewed Journal of the American Medical Association (JAMA). This research is the strongest evidence we have to date that varicose vein treatment can literally save lives by reducing the chance of developing DVT, as well as other dangerous diseases (see below). The research was published by a panel of eight Taiwanese scientists from Chang Gung Memorial Hospital and Chang Gung University. 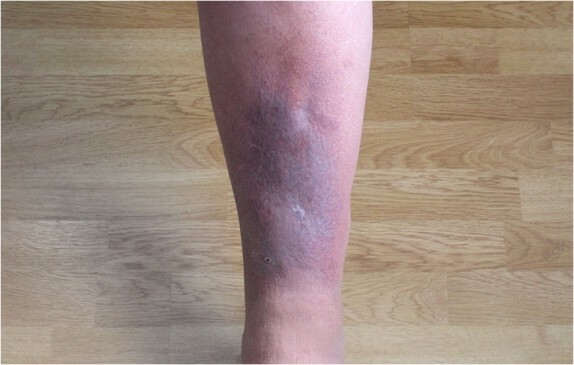 The large scale study involved 212,984 patients with varicose veins and another 212,984 patients without varicose veins who served as the control. The source for the data was the claims database of Taiwan’s National Health Insurance Program so the data can be trusted as it all would have been supported by competent medical reports and screened for accuracy. The claims were made over a thirteen year period from January 1, 2001 through December 31, 2013. None of the patients included in the study presented with any evidence of DVT when they initially made their claim. The patients in the group with varicose veins were all at least twenty years old and had a mean age of fifty-four and half. A little over sixty-nine percent of the varicose vein group were women with just over thirty percent being men. The control group was selected to be extremely close in age and gender ratio to eliminate these two variables as factors in the study. Thus, the large scale study was designed well. The elapsed time before the follow-up looking for DVT (dangerous deep blood clots) was 7.6 years. The results were remarkably clear and statistically highly significant! The group that had varicose veins had a whopping 5.3 higher chance of having DVT than the control group! Furthermore, the researchers also discovered a significantly higher incidence rate in the varicose vein group for both pulmonary embolism (PE) and peripheral artery disease (PAD), 1.73 percent and 1.72 percent respectively, although the study was not designed to exclude other potential factors for the development of these correlated diseases, such as smoking and weight gain (obesity). This is the first large scale study that clearly demonstrates why people with venous disease should receive varicose vein treatment as a life saving procedure. All too often, varicose vein disease is not taken as seriously as it should be. Insurance companies often resist in paying for varicose vein treatment procedures like sclerotherapy, endovenous laser ablation, radiofrequency ablation, and ambulatory phlebectomy even though these procedures have been long established to prevent deep vein thrombosis, pulmonary embolism, and peripheral artery disease! The new study should make it abundantly clear to anyone who should try to claim otherwise! Pulmonary embolism (PE) is when a deep blood clot dislodges, travels to the lungs, and becomes lodged there. This is a life threatening event that requires emergency life saving procedures and a careful full time critical watch over a patient. While peripheral artery disease (PAD) is not usually life threatening, it is still considered a very serious disease. In fact, it can shorten one's lifespan significantly due to complications that can lead to life threatening events like heart attacks and strokes. When you think about the fact that a relatively simple thirty minute varicose vein treatment can prevent these life threatening diseases, you have to wonder why some people still consider varicose vein disease "benign" or even "just cosmetic." Deep vein thrombosis is known as a "silent killer" since most people who have these dangerous life threatening blood clots don't even know they have them. However, if you are evaluated at a good varicose vein treatment center like Metro Vein Centers, you'll be able to find out if you have one or more of these dangerous deep blood clots. You'll also be able to find out if you have varicosity in deeper veins that you can not see from the surface of your skin. Just remember that many varicose veins, including some of the most serious, cannot be seen through the skin because they are too deep. At Metro Vein Centers, you can have some of the best vein experts in the country do a duplex ultrasound to see not only inside your legs but actually inside your deepest veins! To set this up, just call one of their locations. Good luck to you! We sincerely hope you do not have a deep blood clot or hidden varicose veins. However, if you do have them, it's far better to know about them so you can receive varicose vein treatment to alleviate the dangers.